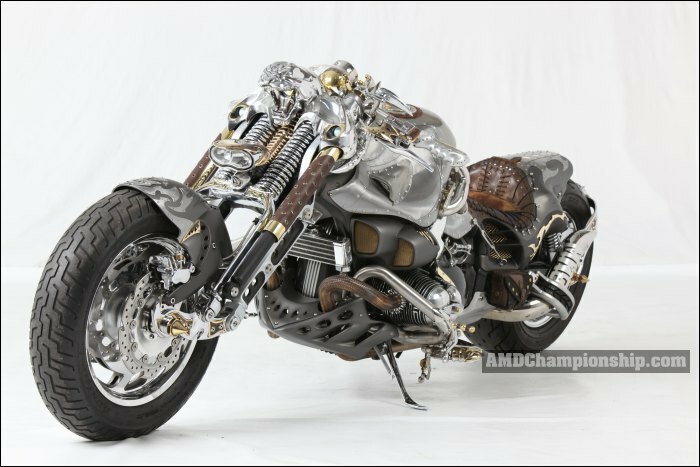 A single rider motorcycle/construction, which through the bass sound of its two-cylinder "Boxer" motor, the roar of its horn, its lights and its wild, metallic appearance, seeks to revive the mythological monster-guardian called "Chimera". 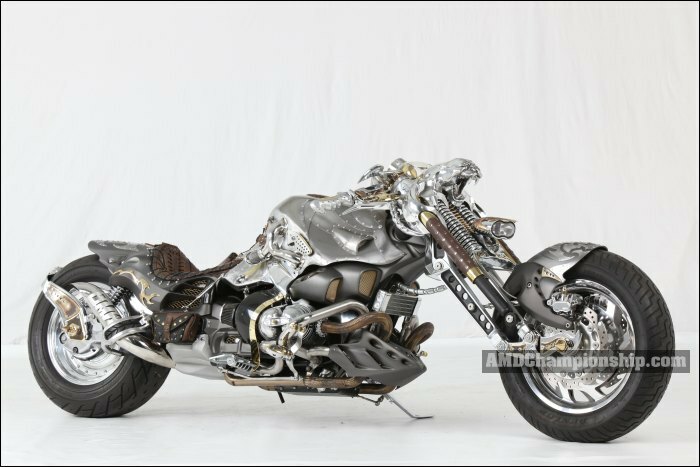 Mostly hand-made in a traditional way (forged metallic surfaces, sand-casted moulds, connections with rough leather) and modified or sculpted in most parts. 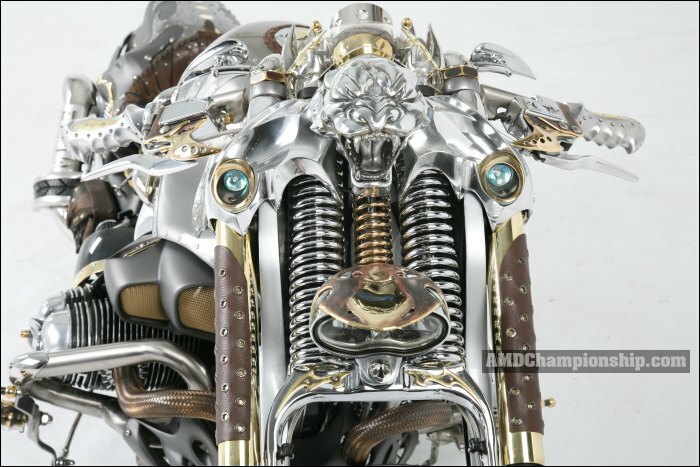 For example, the ZZR gas tank, the front-end MAZDA system, as well as the BMW frame have been modified by the builder. 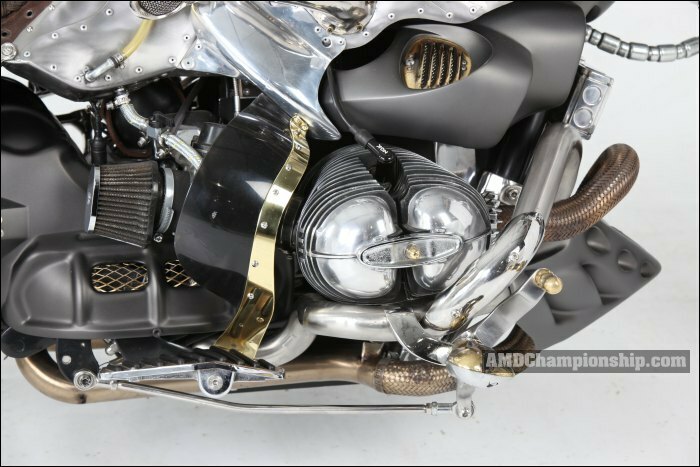 Fenders, side caps, horn, seat, handlebar, rear wheel, foot-pegs, grips, all lights, pipes and all metallic cover-ups are completely hand-made.